If there’s one secret to getting kids to eat their veggies, it’s cheese. That’s the only thing that ever worked for me as a kid! Even better, turn those unwanted veggies into “fries” baked with bread crumbs AND cheese so they’re crunchy and no longer resemble vegetables. 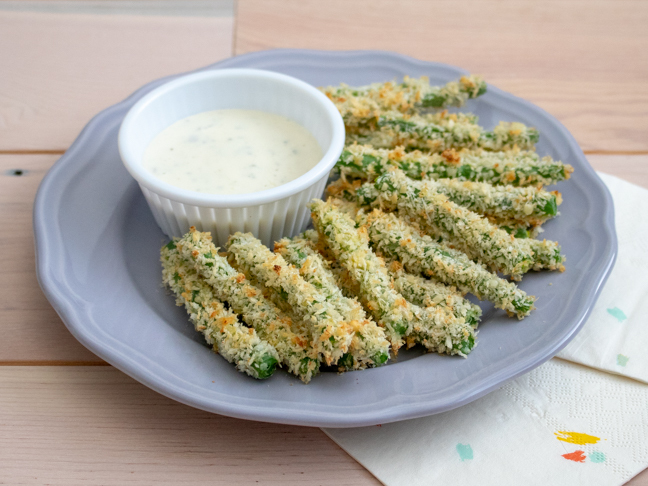 Paired with your favourite dipping sauce, these easy oven-baked green bean “fries” are the perfect snack to trick kiddos into eating their vegetables! You’re sure to love them alongside your dinner too, of course. Rolled in a mixture of bread crumbs and grated Parmesan, these easy-to-make baked green beans are the perfect substitute for traditional French fries and make a great afternoon snack or dinner side dish for the whole family. 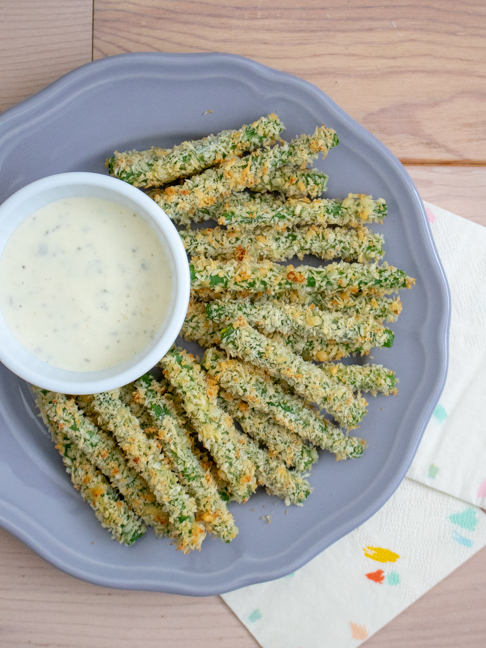 Because they’re baked instead of fried, they’re a healthier alternative to other types of “fries” but still have all of the flavor! Best of all, the green beans maintain their nutrition so you can still feel good about what you’re feeding your family. 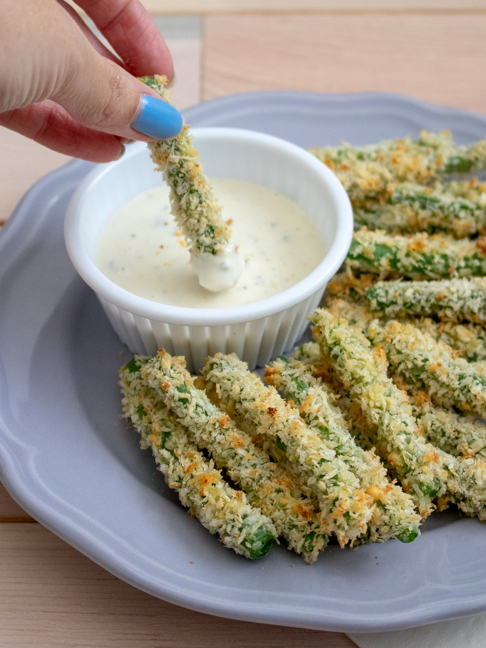 Here’s how to make a quick batch of baked green bean “fries” that the whole family will love! Step 2: Wash and cut the ends of the green beans. Dry well with a clean towel. Step 3: In one bowl, combine the bread crumbs, parmesan, garlic powder, salt and pepper. In another small bowl, add the flour, and in another, beat the eggs. Step 4: First, dredge each green bean in flour, then in the eggs, then roll in the bread crumbs mixture until well coated. 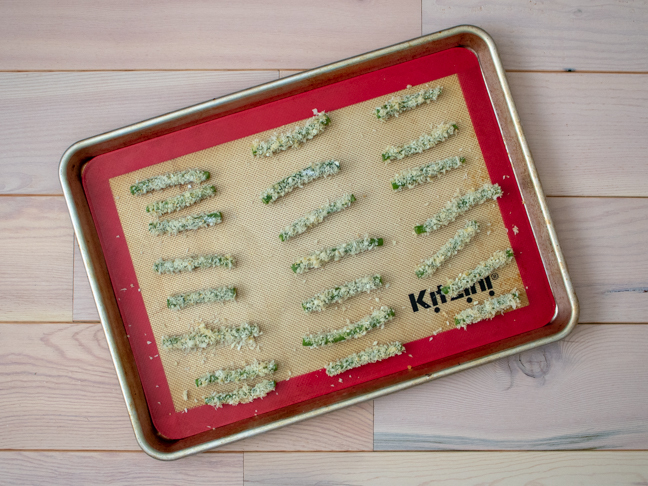 Step 5: Repeat and place green beans on a baking sheet about 1 inch apart. Bake for 10-12 minutes until light brown and crispy. Step 6: Serve fresh with dipping sauces like ranch dressing or garlic aioli.